We can heat treat stainless steel, carbon and alloy steel, aluminum and magnesium alloys and other metals and alloys. Our equipment includes High Temperature Vacuum Furnaces, multiple Controlled Atmosphere Furnaces and Air Temper/Age Furnaces. We even have three Cryogenic Freezers that will provide cold stabilization. All our equipment meet AMS specifications and are maintained in accordance with AMS 2750. We have the experience and capability to provide customers with steel brazing services that ensure optimum joint integrity. And it is all about joint integrity: brazing steel provides advantages over welding, forming joints with higher strength, higher ductility and lower distortion, and permanency. In addition, thin sections can be joined to thick sections at a more economical cost. We have the knowledge, experience and technical capability for brazing stainless steel, carbon steel, tool steel, steel alloy, copper and super alloys. 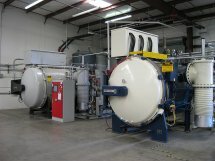 Our furnace brazing equipment includes multiple vacuum furnaces with high pressure inert gas quenching systems. Many customers come to us because they need superior quality services and expertise for brazing steel. But many also see the advantage of using one shop for heat treating services and brazing steel on the same project. Evidence of Nevada Heat Treating’s commitment to quality is not just our opinion — it is based upon Nadcap certification of our plant, equipment and expertise. Nevada Heat Treating was just awarded an additional one year merit upon their last Nadcap review in addition to the usual one year accreditation. This additional 12 month merit required the plant to pass a Nadcap audit with no major findings. Nevada Heat Treating takes great pride in their rigorous standards to maintain quality and integrity. Nadcap is an industry-managed quality assessment program organized by the Performance Review Institute. 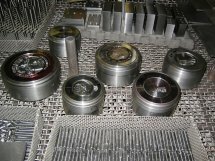 Before Nadcap, companies for aerospace and other industries audited their own suppliers. Eventually these audits became inefficient, redundant and difficult to compare across supplier segments due to a lack of uniform standards. In July 1990, the Performance Review Institute was incorporated to administer the Nadcap, a supplier process control system audit program. 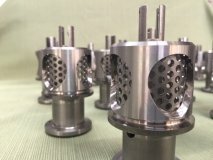 From the beginning, Nevada Heat Treating was a strong supporter of Nadcap because the process establishes stringent industry standards that satisfy the requirements of all customers. It also replaces rote auditing of suppliers with a consensus decision making process developed by customers. Nadcap conducts more in-depth, technically superior special process audits of vendors, which is good for our customers and good for us. And the Nadcap audit process also improves supplier quality through stringent requirements and periodic review of suppliers and the standards themselves. Nevada Heat Treating is a AS9100 certified company, using the ISO9001:2008 quality system model, as well as being Nadcap accredited.